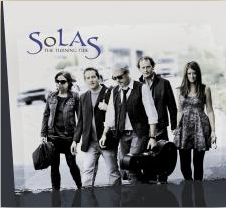 “The Turning Tide” (Compass 4530) from Irish-American supergroup Solas will be released on February 16, 2010. For readers who are already Solas fans, this release will be a familiar listen. It fits like a comfy, well-worn glove: one part exciting tune sets, brilliantly arranged and impeccaby performed; one part gorgeous, ethereal songs from vocalist Mairead Phelan; and one part lush, cinematic landscapes. This is Mairead’s second album with Solas, and she seems to have hit her stride. Whether she is singing a traditional ballad or a modern composition, hers is the call of a siren, even if her breathy whisper is a bit distracting at times. 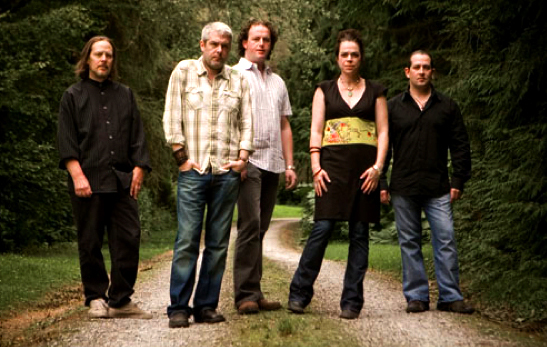 From unrequited love to contemporary social commentary, Mairead delivers the goods on “The Turning Tide.” Solas band members Seamus Egan, Winifred Horan, Mick McAuley, Eamon McElholm and Mairead Phelan have again reset the bar for exuberance and beauty in modernized traditional Irish music. Fiddlefreak recommended! I knew that research said that 97 % of weblogreaders just read and only 3 % responds, but it is good to see the reasons why those who don’t do this! Thanks and keep up the good work! Solas: The Turning Tide (MP3). Great. Thanks. The best is almost certainly Justin Bieber, he is so lovely! Hello, I belive this may be a tremendous online site with remarkable stuff. That may be why I desire to ask you if I can speak about your web page on my website if I provide you with link back again? I have enjoyed listening to this while reviewing it for a couple of different publications and am so impressed that I had to leave a comment on here too. Other than the average Trip to Kareol, the whole disc is outstanding. Their last disc was strong, but this one goes deeper into the heart as well as the head. Excellent choice of material, brilliantly executed. One of 2010’s highlights for me.